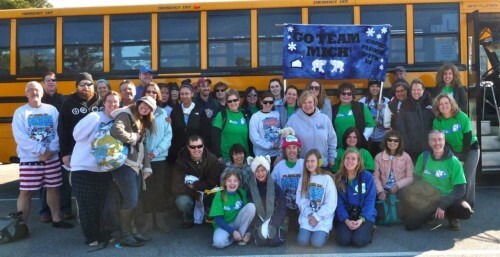 For the fourth year students, parents, staff, and alumni from Montessori International Children’s House (MICH) took the plunge to support the Special Olympics in Maryland at last Saturday’s Polar Bear Plunge. To date, Team MICH has raised over $9,000 for Special Olympics. Montessori International Children’s House, a coeducational Toddler through 6th grade school, inspires excellence, nurtures curiosity and enhances creativity. Accredited by the Association Montessori Internationale, MICH’s student centered learning community emphasizes hands-on experiential learning, respect for self and others, and the development of inquiry skills that enhance life-long learning. For more information about MICH, visit www.montessoriinternational.org or call 410-757-7789.